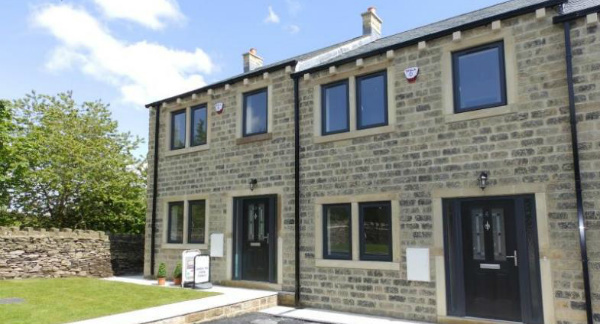 This was an Architectural commission in Howarth, near Bradford, which we commenced design work on in 2013. 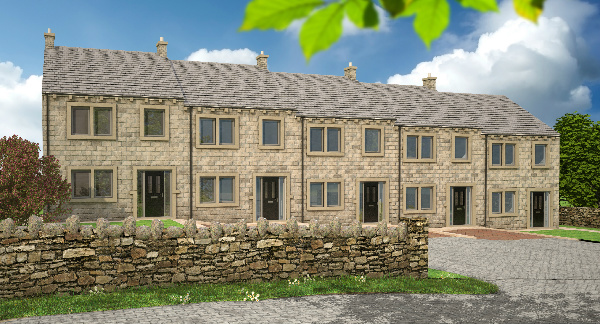 We introduced our client, a Leeds-based developer, to the site which was for sale, and after the successful land purchase we were instructed to prepare a submit a planning application for five houses with Bradford Council. The site is located within the Howarth Conservation Area, and there are a number of restrictions in terms of the surrounding roads and vehicle access. However, after successfully overcoming the planning hurdles, permission was granted in 2014 and the project has been successfully built out, with the houses being available on the market in the summer of 2015. Architecturally, the scheme comprises of five traditional stone-built mews houses, which are stepped, both in plan and elevation, to create some visual interest, and to break up the monotony of the main building block, which may have been evident without the stepped arrangement. 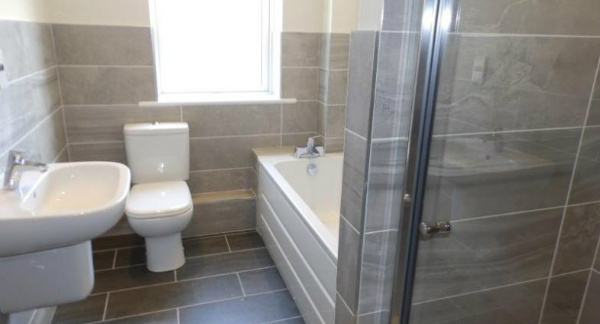 Some modern features, such as anthracite grey windows and composite doors, were introduced in order to give the development a more contemporary feel, and we feel that the contractor has executed the build in an expert manner. We feel that our planning of the interior of each property was done so in an extremely efficient manner, in that each house is provided with a generous kitchen / diner, a separate lounge, wc and entrance hall at ground floor, with three bedrooms, a house bathroom and an en suite at first floor.